← The Giant’s Shoulders #10 is up! Our bird babies are flying! The fiancée and I felt very lucky to have been present for what must have been one of the first flights. 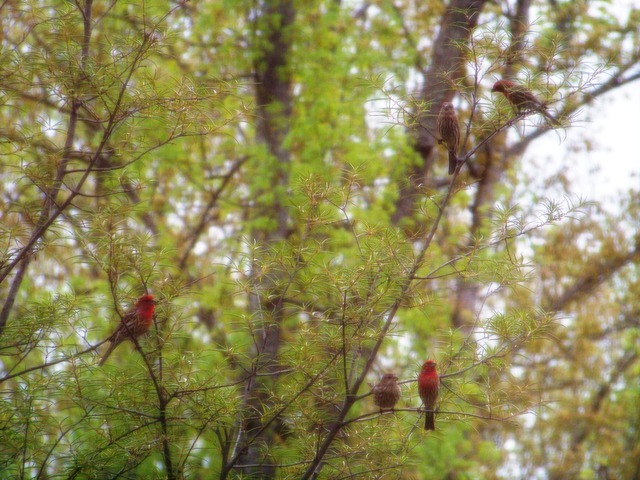 (The picture is a bit grainy because I had to shoot through a screen and window.) Soon, we’ll be able to clean the poop off of the front door! 4 Responses to The birds have fledged! Awesome! After they fledglings are on their own, you might consider removing the nest. Nests have an incredibly low kindling point, and (I think) under the right circumstances have been known to catch on fire. 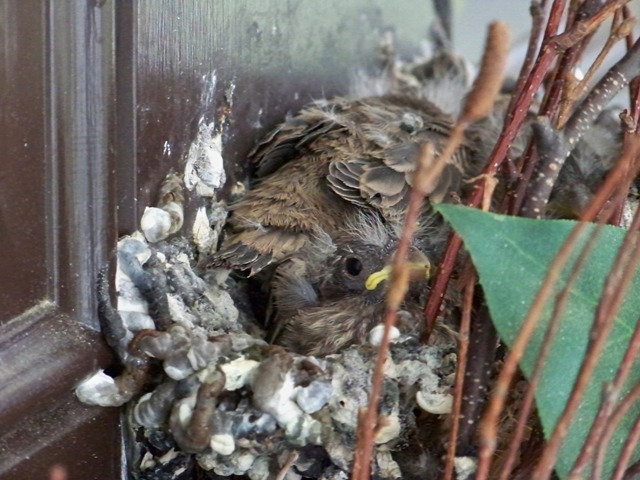 Hello, I was scrolling through the internet trying to find out what kind of bird decided to make a nest on our front door wreath when I came across this post. It seems that we have the same problem that you did. I have just one question about this incident; were you able to use the front door after you found the eggs? Please send help as to what to do, we have been using the garage door as our escape for the past five days. Hi! In our case, we completely stopped using the front door during the time that the eggs were on the door and just went through the garage, as you’re doing. We were worried about scaring away the parents and/or knocking the eggs out of their perch.